We now have Saatva Mattresses! 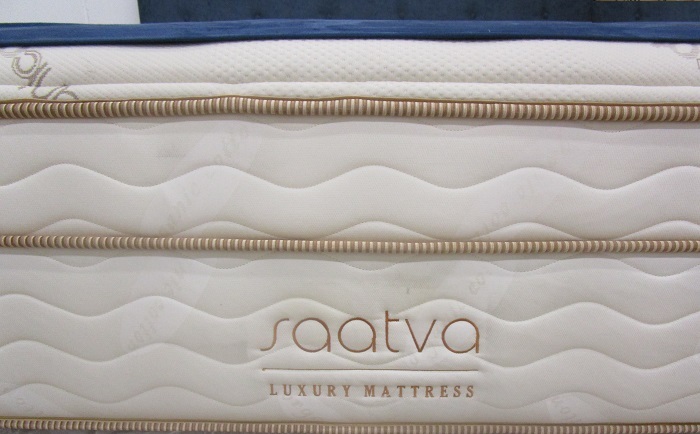 The Saatva mattresses offer a truly unique combination of leading technology and organic materials that make them a leader in luxury mattresses. These wonderful mattresses come in a range of firmness levels from Plus Soft to Luxury Firm and Firm. These represent a range of firmness levels from 3 to 8 on a scale of 1 (extremely soft) to 10 (extremely firm, even hard). Plush Soft: For sleepers who prefer to feel their mattress hug them in a supportive embrace the Plush Soft comfort level is your choice. Luxury Firm: The standard comfort level used in the finest hotels in the world, where their goal is to ensure every guest gets a great night sleep. Firm: For sleepers who prefer their mattress firm but not hard the Firm comfort level is your choice. See more about the firmness levels here. Individually wrapped coils in the top portion of the mattress are the most advanced coil system in the luxury mattress market. These coils respond and contour to every body shape. Foam encased anti-sag edge support for better durability and more sleep surface. 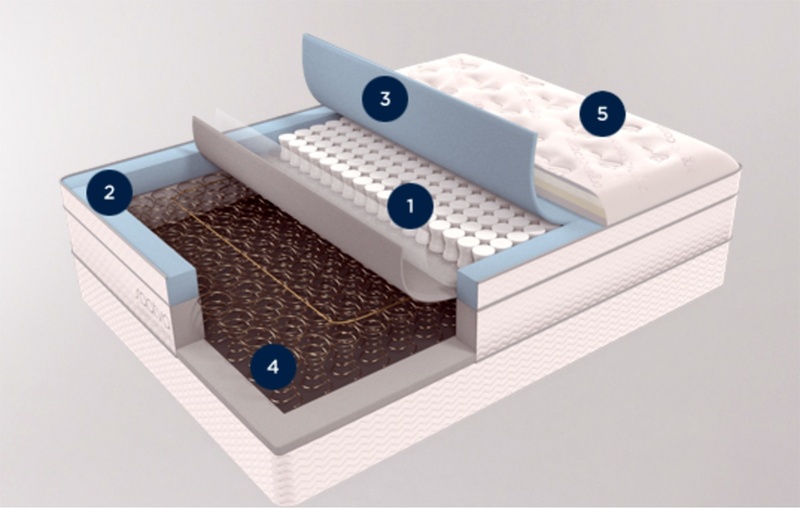 The Saatva Mattress uses a Dual Perimeter Edge Support System. The upper comfort coils are foam encased. This is a quality that only the most durable and best mattresses have. Lumbar support enhancement made of high quality memory foam layer, providing additional pressure relief while helping reduce stress and tension from the lower back. All Saatva’s luxury mattresses are built with a tempered steel support lower coil base. This creates a long lasting, sustainable mattress with increased durability and is the best design to prevent sagging. The euro pillow top offers more padding and cushioning materials than what is found in most regular pillow tops. These materials are then inserted underneath the outer covering for a neater and cleaner look. Regular pillow tops that are sewn to the top of a bed tend to shift and lose shape. Lately, there’s been a lot of media attention on allergic reactions to certain types of bedding. Saatva understands this serious issue and has been addressing it through their mattresses for several years. Our foam is never processed with formaldehyde or other irritating solutions. Additionally, our foams are tested and certified to meet environmental, health and safety standards. The cover fabric is made with an organic cotton blended with hypo allergenic fibers that meet flame retardant laws using a natural thistle barrier, while remaining gentle to the skin. Saatva mattresses are hand crafted and immediately packaged in a special plastic with micro-openings which allows the bedding to breathe while preventing foreign particles from entering. Based on how we manufacture and ship our product, we guarantee that your mattress will be delivered bed bug free. Saatva gets very good reviews and because they make a great product they have grown substantially as a company.